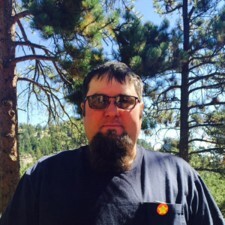 Shortz is a member of the facilities maintenance crew, responsible for maintaining the facilities of Eagle Rock so the teaching staff can give students the best possible education. He’s been working at camps and a YMCA for most of his adult life. Shortz enjoys working with youngsters and helping out in the background to keep things running. He and his wife live in Estes Park. I really love that I get to be around youth and get to do a job that I enjoy. I’m really moved by watching students become adults in their time here at Eagle Rock.